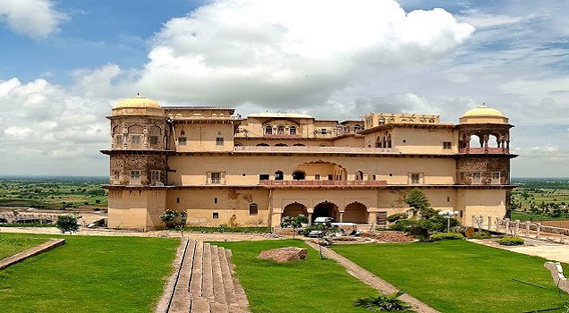 The Tijara Fort, started in early 19th century by Maharaja Balwant Singh was never completed until 13 years later when the Maharaja passed away in 1845. Unsuccessful attempts by his descendants and the stifling rule of the Britishers meant that the fort fell into ruins. The fort was never restored and lived in until recent times. After the government’s auction of the property, the Tijara Fort was discovered to have three standing structures. The Massive Hawa Mahal which was a common meeting place, the bold Mardana Mahal with thick walls and a combination of Afghan and Rajput architecture while the Rani Mahal lay unfinished. After a decade of work, the dilapidated ruins had been transformed into something majestic.